There are many aspects to the discussions today in the media of the IFS' report on the progress of the UK economy, and household incomes, since the downturn. One that has received less attention is the "productivity puzzle" that has arisen over the years since the 2008 crisis. Essentially the UK has become less productive on a per head basis than before, and is lagging many other major economies, for example France (who in the UK we are used to thinking of as a virtual economic basket case). The question of why that has happened, and what we in the UK should do about it, raises some really fundamental issues in economic, social and legal terms. To me the causes of the change to date are readily apparent: there was an apparent consensus across the UK following the downturn that it would be better for all to have more people in work, even if that meant they were doing less work per head. That has now become something of a national habit. At the same time, businesses have had less cash to invest in new technology, partly because they have kept up employment levels, and partly because the bank lending picture has been pretty dire over the period. It is going to take a while to work through this, and changes to employment laws might form part of the picture if the issue is to be tackled radically. Combined with the likely continuance of serious public spending cuts, whoever gets elected in May, there is still a lot of major change to come over coming years. In a way, we have to hope so or the longer term prospects of the UK economy will look bad. 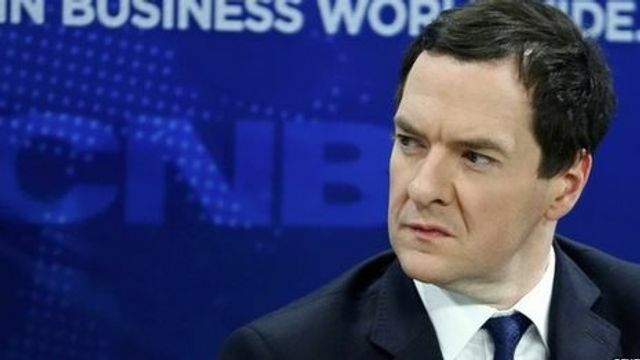 The Institute for Fiscal Studies (IFS) has said that the worst of the UK's spending cuts are still to come. Its Green Budget, which looks at options and issues ahead of next month's Budget, says the UK's finances still have "a long way to go". To meet plans announced in last year's Autumn Statement departmental spending cuts of £51.4bn, or 14.1%, are needed in the next parliament, the IFS said. Cuts in the current parliament are expected to reach £38.3bn, or 9.5%. The IFS said that over the next four years the UK is planning the largest fiscal consolidation out of 32 advanced economies. It would mean public spending falling to its lowest share of national income since at least 1948, and fewer people working in the public sector than at any time since at least 1971.